Since 2007, the American Psychological Association (APA) has commissioned an annual nationwide survey as part of its Mind/Body Health campaign to examine the state of stress across the country and understand its impact. In numerous studies, exercise has been proven to have many physical health benefits. While this is also widely acknowledged by participants in the Stress in America™ survey, few reported that they exercise regularly. More than a third, 37%, of respondents reported exercising LESS than once a week, if at all. o ONLY 29% of those who go online and 33% of those who watch TV or movies to manage stress say these techniques are very or extremely effective. Adults with high stress were more aware of the benefits of exercise on their stress level. Roughly a third, 33%, report feeling less stress after exercise compared to 18% of those who had low stress levels to start. Why does this matter? Chronic stress — stress that interferes with your ability to function normally over an extended period — is becoming a public health crisis. 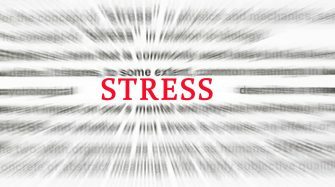 Most Americans are suffering from moderate to high stress, with 44 percent reporting that their stress levels on issues like money, work and the economy have increased over the past five years. Stress is also taking a toll on kids, according to the APA. Almost a third of children reported that in the last month they had experienced a physical health symptom often associated with stress, such as headaches, stomach aches or trouble falling or staying asleep. Together these responses point to exercise as a proven reliever of stress both in teens and adults, at a time when there is a great need. We may not always be able to change outside factors which cause stress, but improvement in mood, lower stress, more confidence and less depression can be just a workout away. It is important to be active to keep both mind and body strong and healthy. If you have questions about what exercise programs or activities may be best for you, talk to your chiropractor at your next visit. As experts in the musculoskeletal system, they can help you determine what is best suited to your health needs and goals. If you don’t have a regular chiropractor, you can find one near your home or work at https://www.tnchiro.com/find-a-doctor/ .